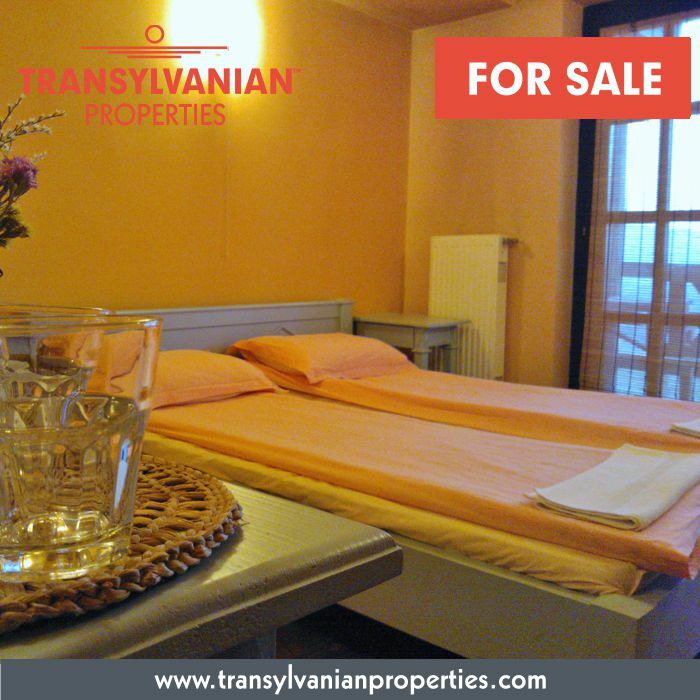 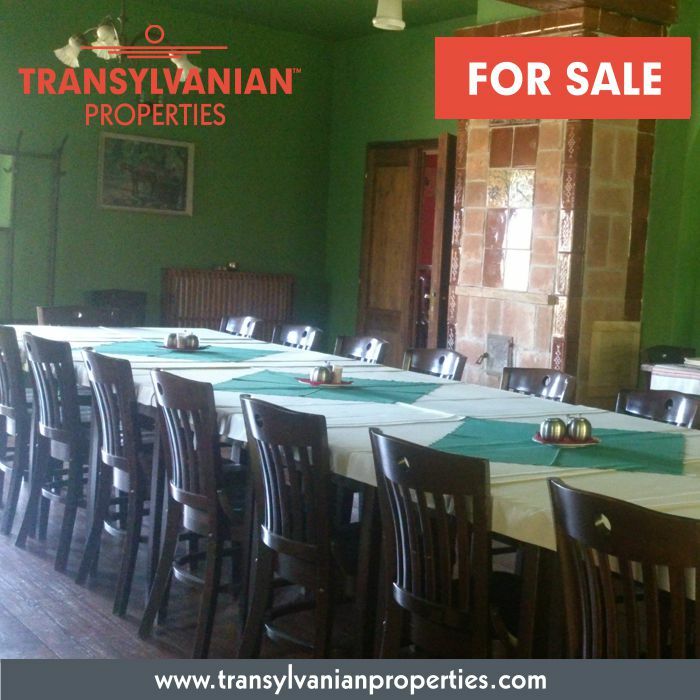 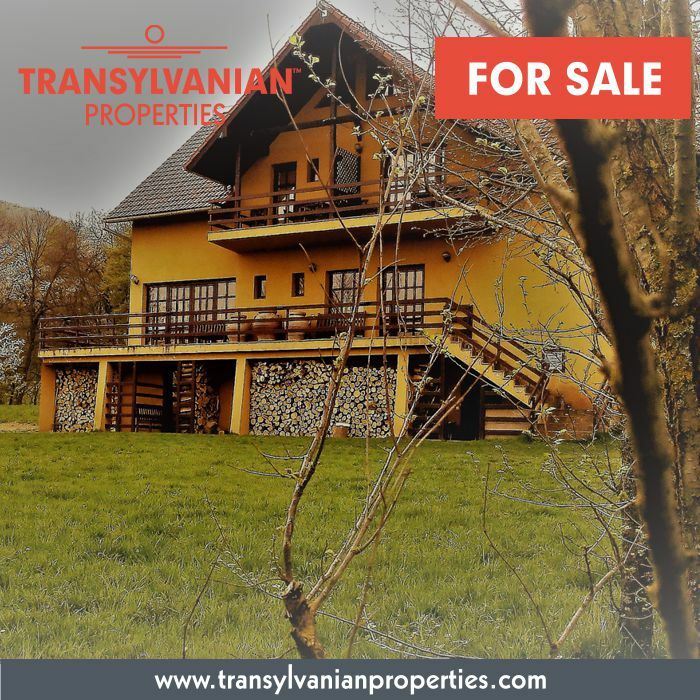 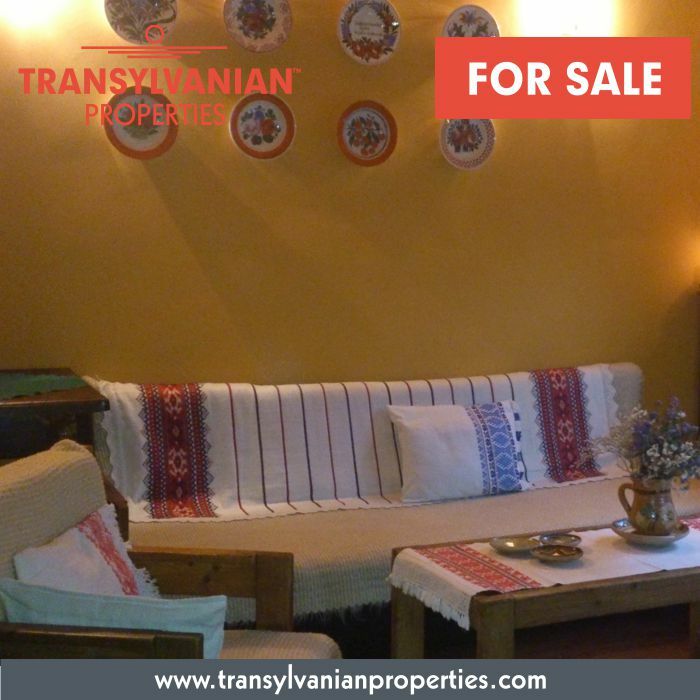 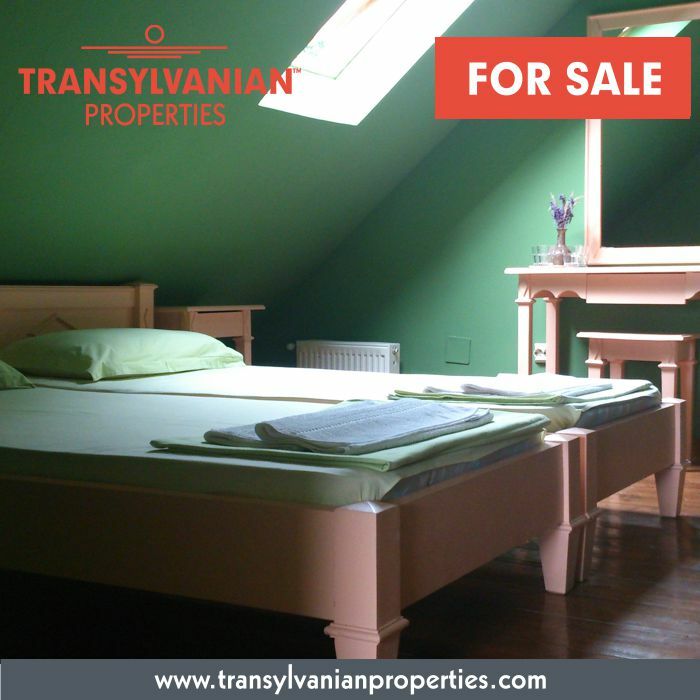 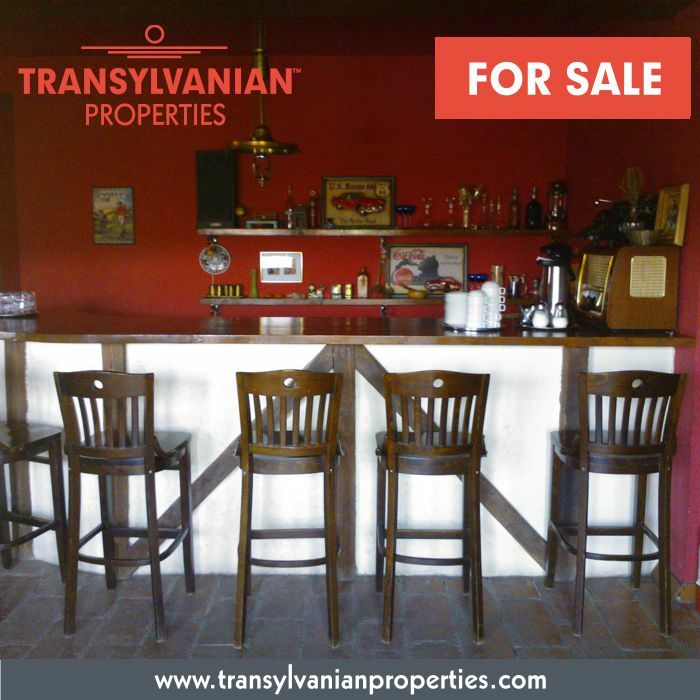 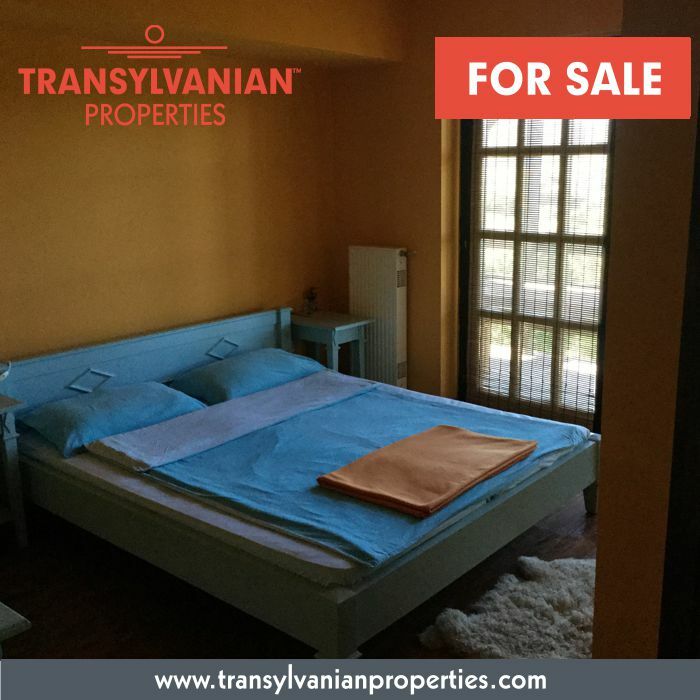 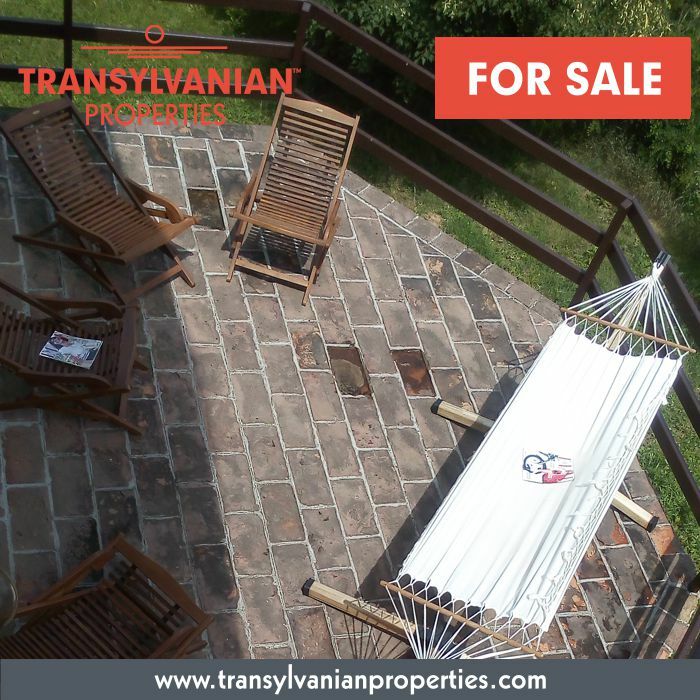 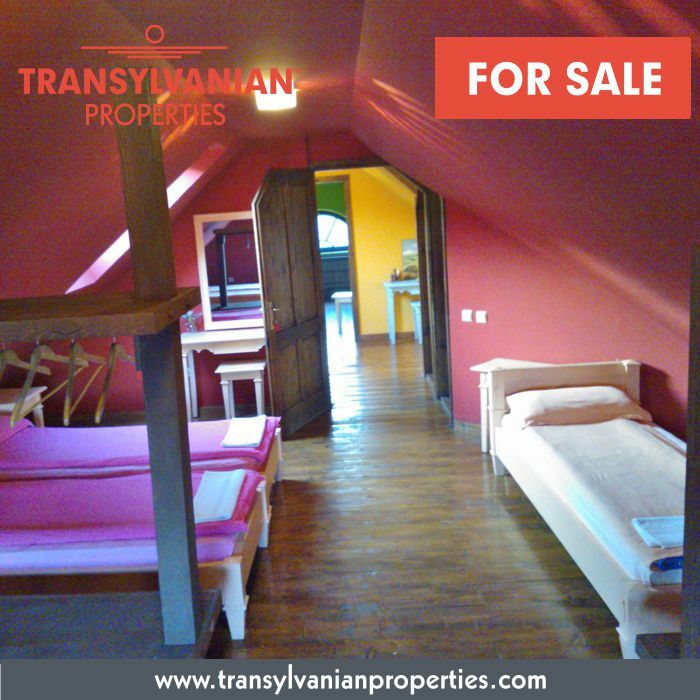 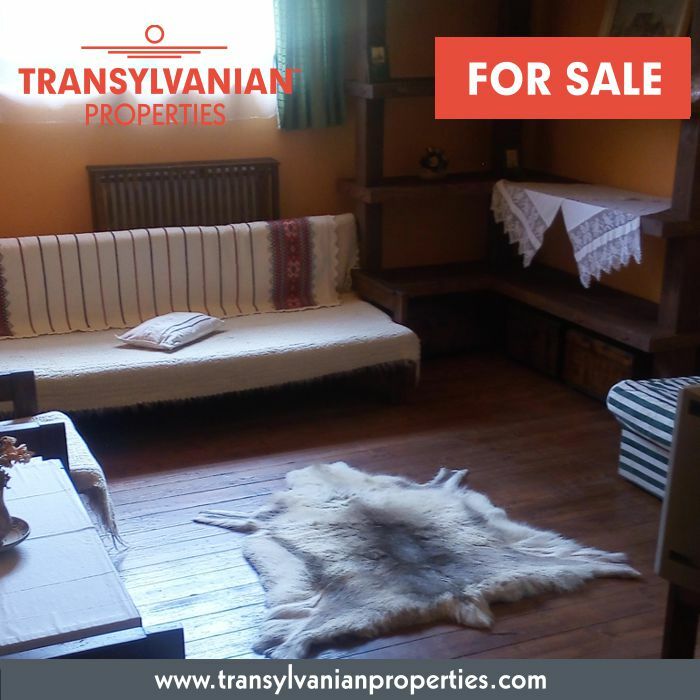 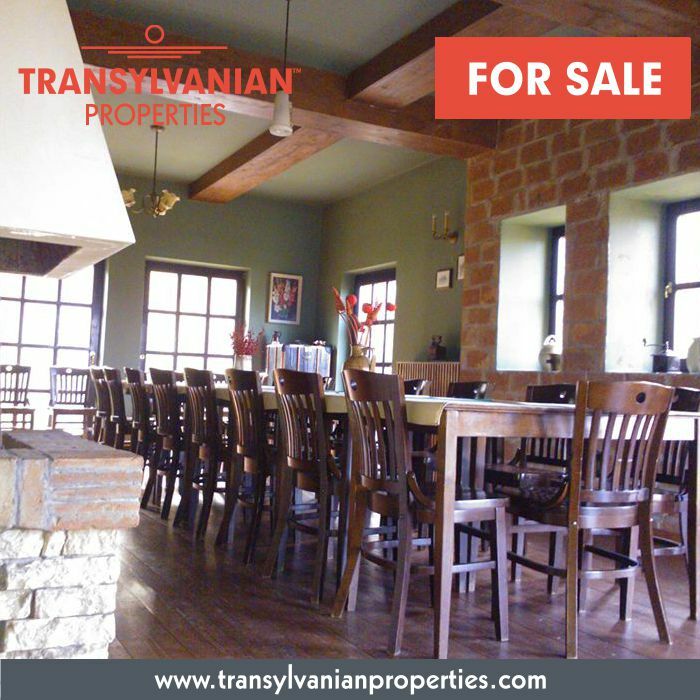 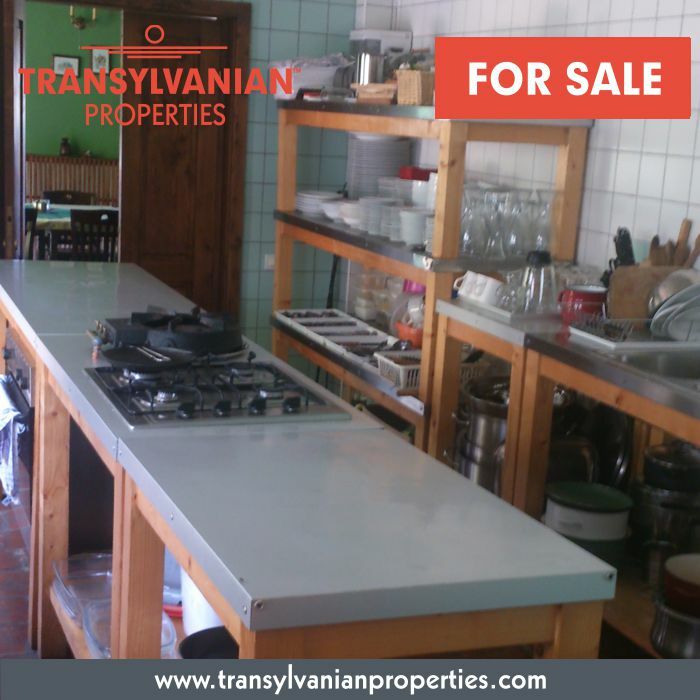 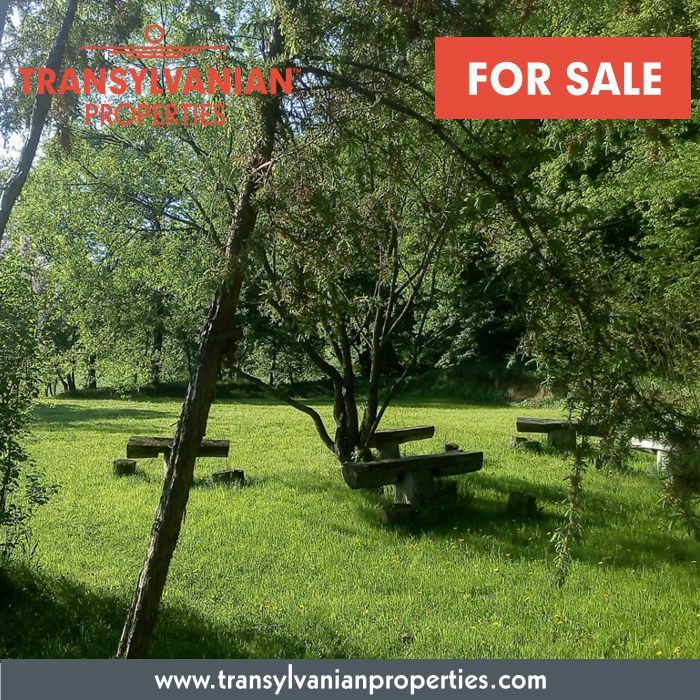 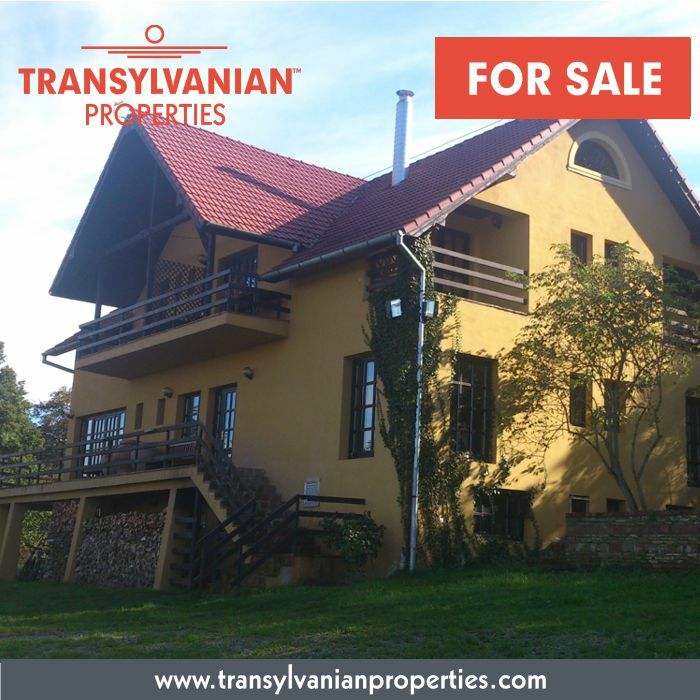 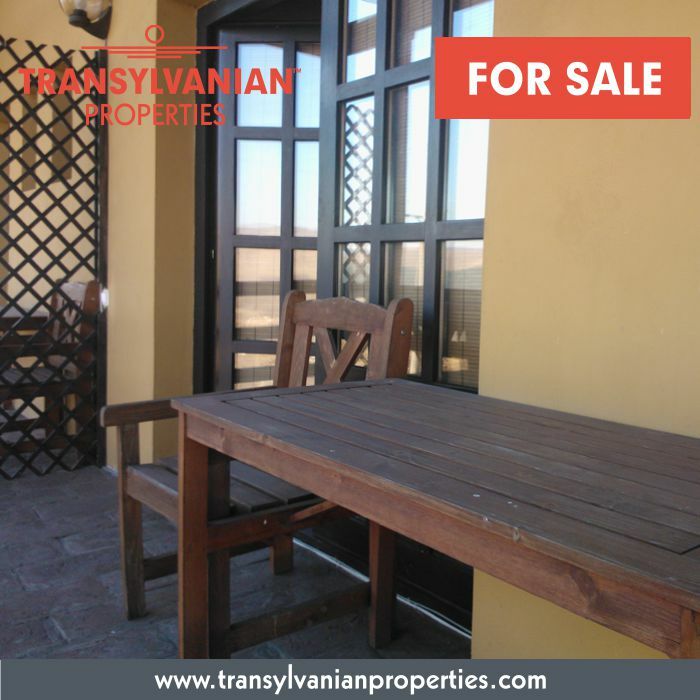 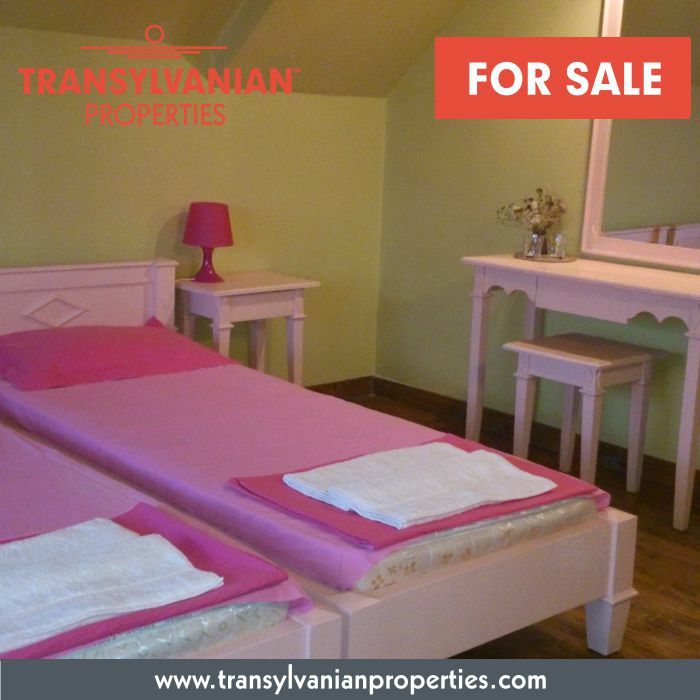 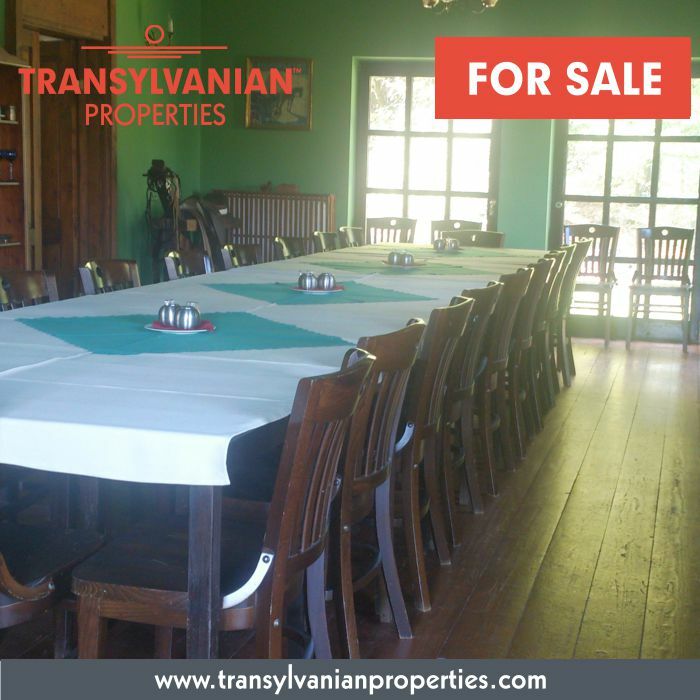 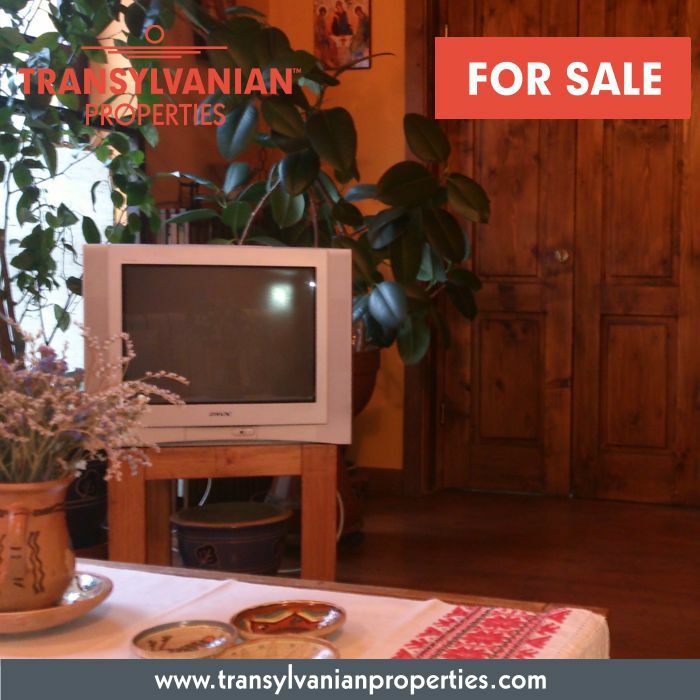 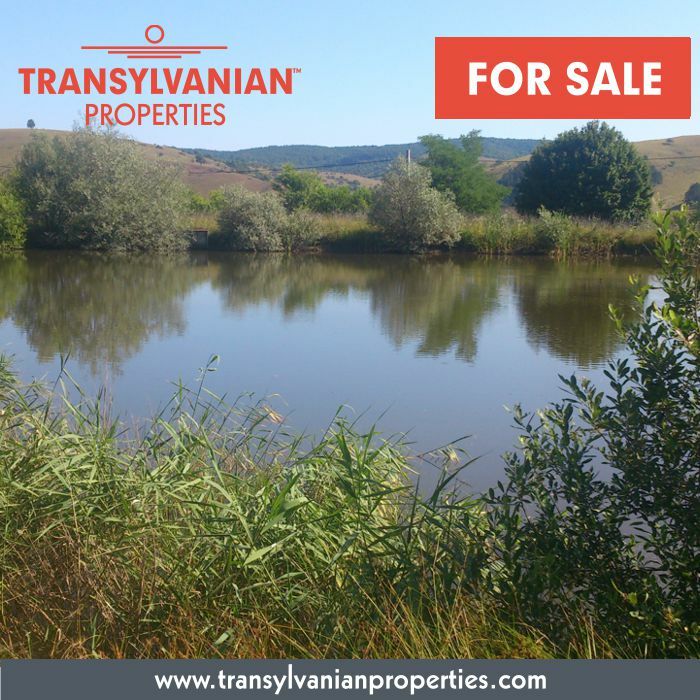 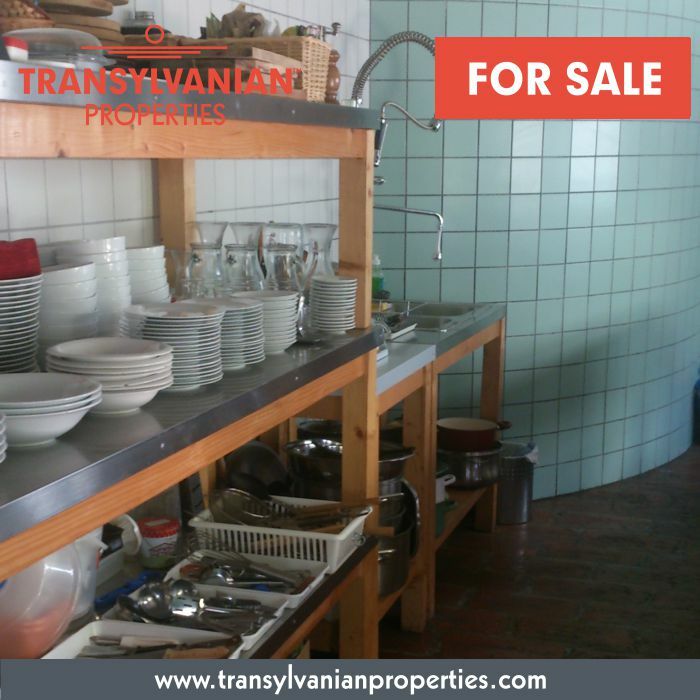 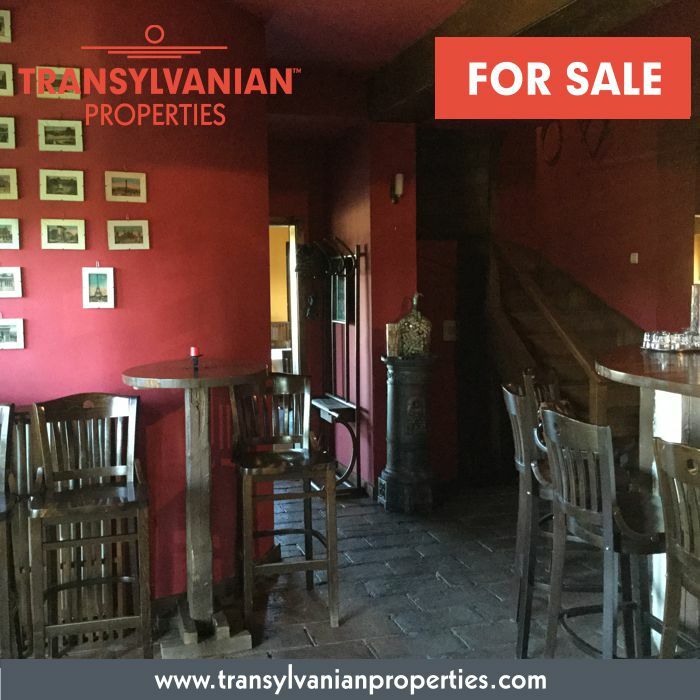 TThe property is located in Gilau, close to the forest in county Cluj - the historical region of Transylvania, Romania. 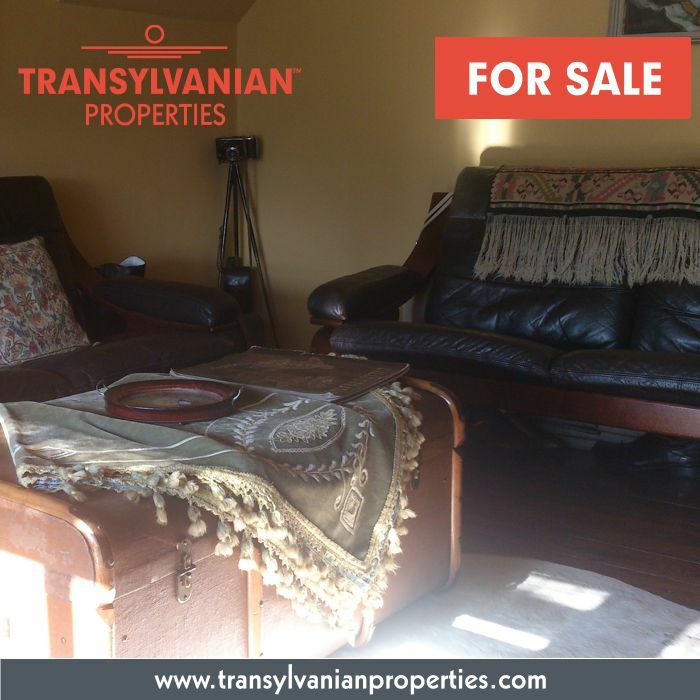 It has an approx. 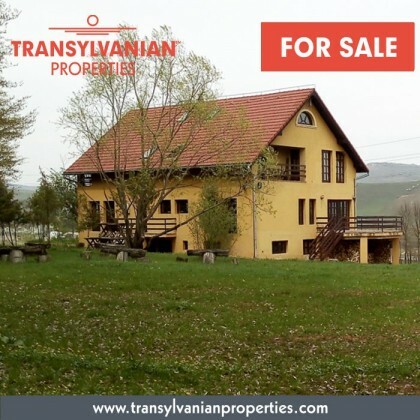 100 m front to E60 international road. 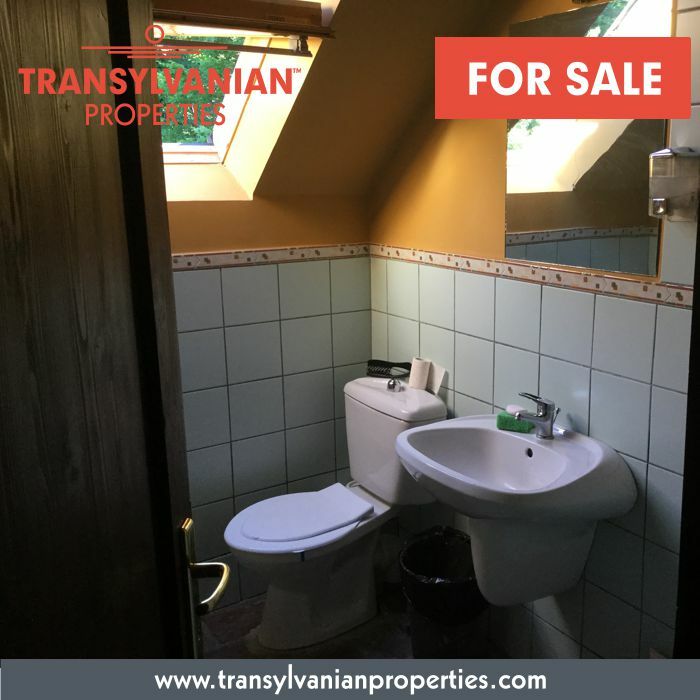 The property benefits from all the utilities: electricity (220 V and 380 V), water (from its own shaft, drilled at 80 m, equipped with an active coal filter station, submersible, deep-water pump), high speed internet. 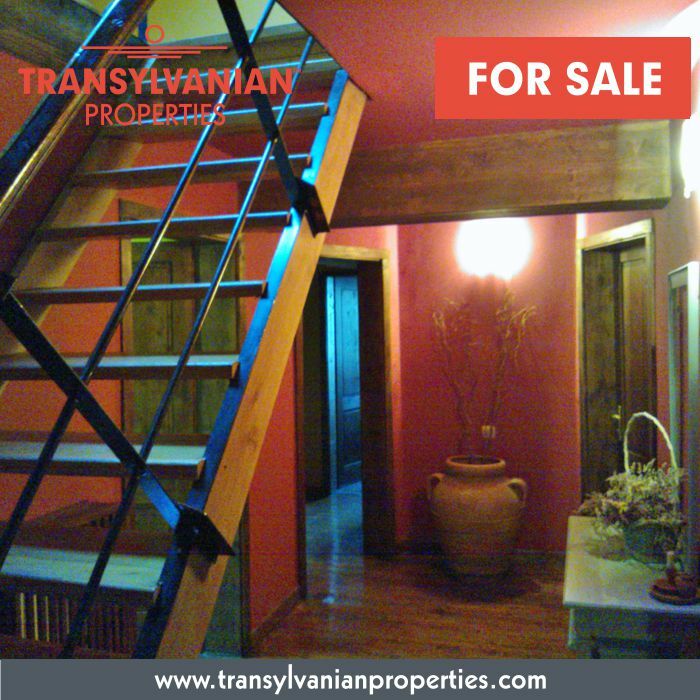 The heating is provided by a high-capacity gasification plant - 80 KW, supplied with wood. The house is fully furnished: it has 9 bedrooms with bathrooms, 2 large living rooms, modern kitchen, bar, sports and office room, laundry and dryer, terraces, hallways, internal stairs, service toilets, etc. 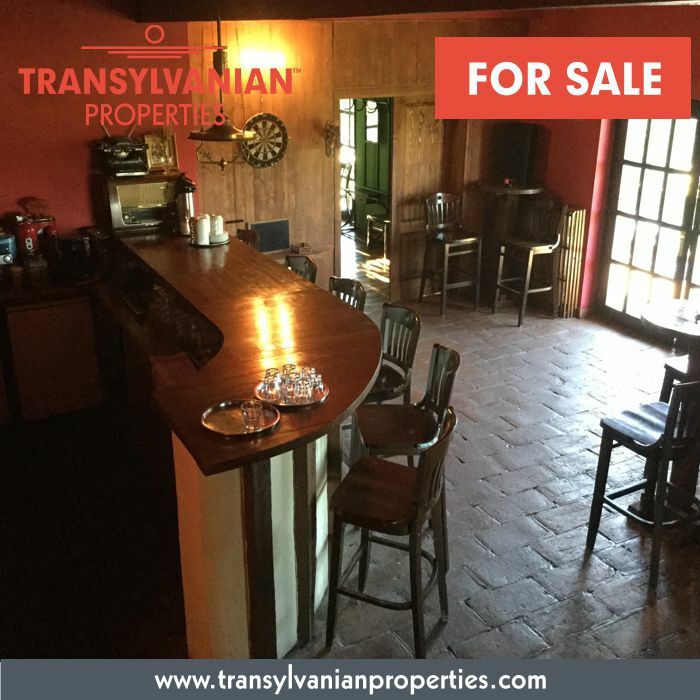 It was built in 2003, in a rustic style, on a reinforced concrete structure with BCA walls, covered with ceramic tile; the materials in the interior are handmade bricks and woods for floors, paintings have tones to match room functions so as to stimulate day-to-day work. 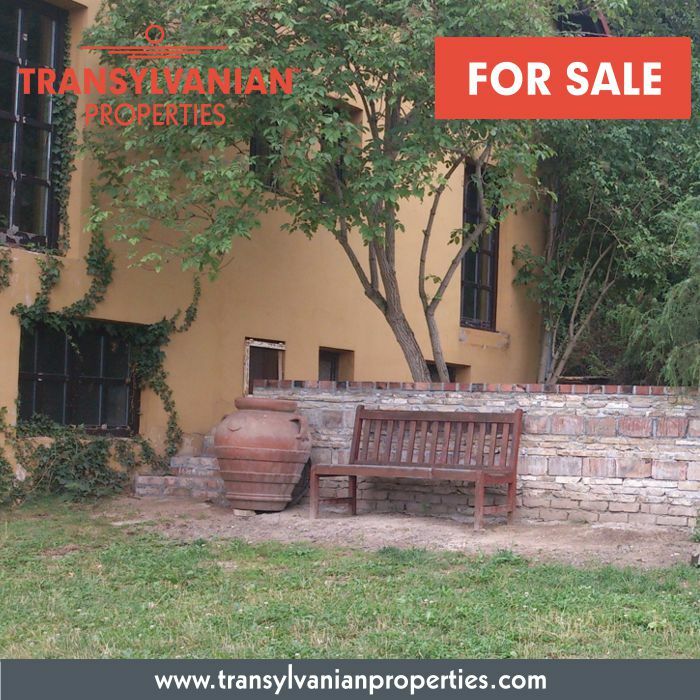 It is a passionately built property, it has its own impression of the designer, integrating himself naturally in the landscape. 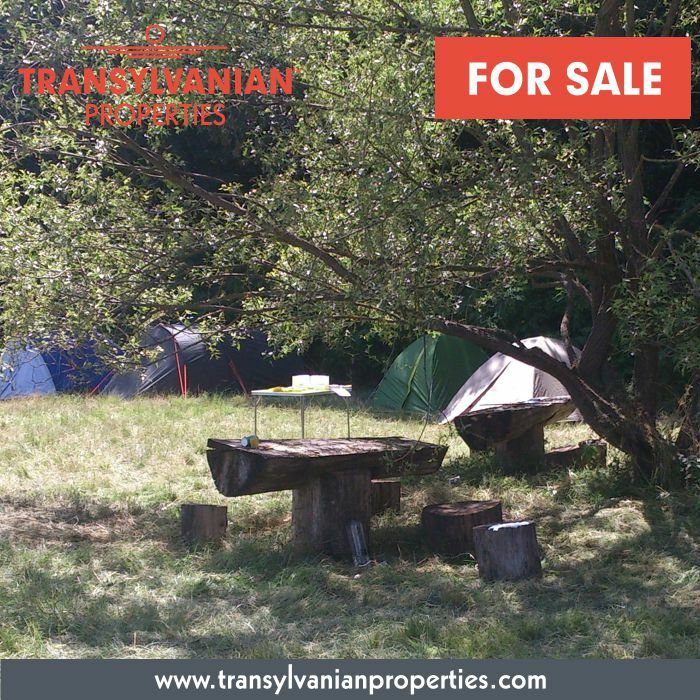 The property is suitable to be used as residential house or commercial building, or any other imaginable destination (a home for the elderly, a beauty clinic, an all seasons residence for those who love Transylvanian culture or an unconventional and stimulating workspace for a creative business, a natural setting for memorable events, a pilot center, training, or even artistic creation camps, musical events, film etc.). 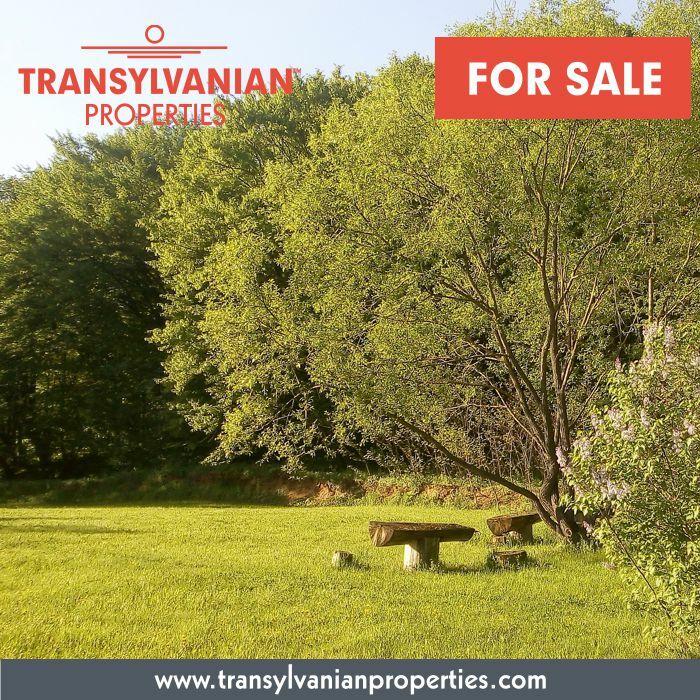 And if there are others who want to taste the experience of life in the countryside, then certainly such a real estate concept can be developed, because it is possible to supplement the surface of the sellable land up to approx. 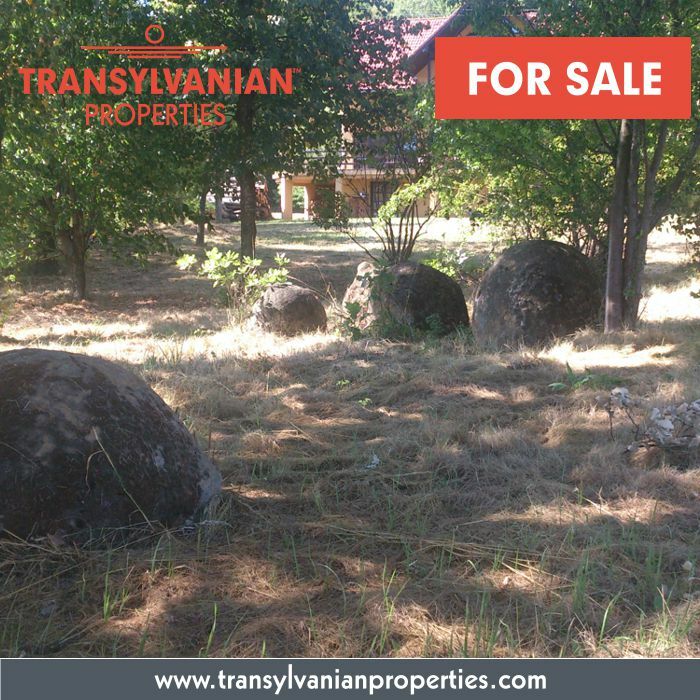 5 ha.